Want to learn a very important secret on how to save money on a Disney Cruise? Here it is.... BOOK EARLY! 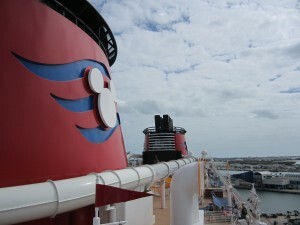 Disney Cruises are in limited supply with only 4 ships. The prices will only go up as the ships fill-up. If a rare sale happens to come out our agents will automatically move your reservation to the best price automatically! A deposit of 20% will lock in your price and it is fully refundable until the final payment due date so there really is nothing to lose by booking early.